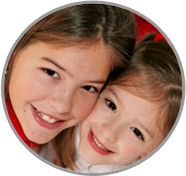 No other Queens, NY Nanny Agencies offer the one year guarantee that ABC Nanny Source does! 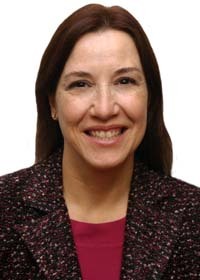 Deborah has experience working with children through the best Queens, NY Nanny Agencies! "I am a competent, caring, and flexible person. I enjoy working with people and making a difference. I do not like to sit still. I always do the best that I am able in whatever task I undertake. I was raised in a very stable, loving home with 5 brothers. My grandparents all lived within a block of my home and were very active in my upbringing. I am in a loving relationship, with an almost grown daughter. My goal is to find a position that will allow me to use my extensive experience/training teaching young people but in a new way. I would like to find a career that I can continue for years to come, and make a living from. If I was asked to describe in one sentence the reason I have chosen to be in the Nanny profession over any other it would have to be because I have been in the education field for over 25 years. At this point I am looking for something outside of the classroom. I love to teach and encourage young people but am frustrated working within the school system. Nanny work would be a wonderful way to have a blend of my love for teaching and my love for people. I have been serving in some form of childcare experience for over 25 years and can honestly say I love what I do! I feel the children are unique individuals that need to be stimulated and have secure boundaries in order to flourish. Children have a natural curiosity and will develop abilities if given the right environment and nurturance. Over all my years of teaching I have always enjoyed working with my students of all ages and abilities. My goal as a Nanny is to support families and make a positive difference in children’s lives. I am willing to do housekeeping including light housekeeping that is related to keeping things cleaned up from activities that take place during the day. I would also be willing to help with some laundry, etc. and some cooking, but the purpose of taking this job is to work with children not to be a housekeeper. If I had to describe myself in five adjectives I would say that I am conscientious, approachable, caring, bright, and soft-spoken. Activities that I would like to incorporate in the daily plan for the family I care for would include activities that are appropriate to the age of the children I work with. Work with young children would include singing, reading, exploring the world/art materials, introducing beginning educational concepts. Older children would include supporting them with their own school work and helping them discover the world around them (widen their views, education, experience). If asked to describe the perfect family seeking a Nanny like me I would hope they would be friendly and fun." "Deborah is kind and caring, dedicated and loyal, and thoroughly loves working with and taking care of children. My children especially love her; she gives them her full attention and I can tell they really connect with her. She has experience both in caring for and teaching children in many different capacities. Younger children respond to her the most, but older children seem to love her just as much! I cannot reccomend her enough. Deborah is truly one of a kind." "Deborah has had the opportunity to work with a diverse group of students during her placement. Within the classroom, there are children who participate in Title reading and math as well as special education students who require a range of modifications and supports. I have four additional special education students who push in for science and social studies. Deborah incorporated all students into her lesson plans in a manner that met their individual needs. Deborah used a variety of curriculums while in my classroom. No matter the type of material or instructional strategy, Deborah always approached them with professionalism and preparation. Deborah took on many responsibilities during her time in my classroom. Her enthusiasm for the profession and growing management strategies supported her success. It has been a pleasure to work with Deborah during this placement. She would work well with any Queens, NY Nanny Agencies." "Deborah is one of the most kind, considerate, responsible person I have ever met. She is a devoted mother and friend, and displays a natural and nurturing way with those she is with. Anyone would be very, very fortunate to have Deborah take care of their children. She is loving, kind and great with babies to difficult teenage children! She would be an asset to any family." "Deborah has been a teacher assistant in my third grade inclusion classroom and she has worked with multiple Queens, NY Nanny Agencies. This third grade classroom has students of varying abilities with six identified Learning Disabilities students. Additional children also receive speech and social work services. The makeup of this classroom made it essential that the teacher assistant be flexible, organized and supportive. Deborah fit the bill perfectly. Her duties included responding to both the classroom teacher's instructions and also those of the support staff the students were in contact with. Deborah is very adept at allowing children to be appropriately challenged and yet knowing the right time to step in for support. Her people skills are strong. Her input during parent conferences she attended allowed for better insight into the students. Deborah is a dependable assistant who was able to connect with the students and staff here at School in a very positive way. She has been an asset to the School District and I am confident that others would agree."